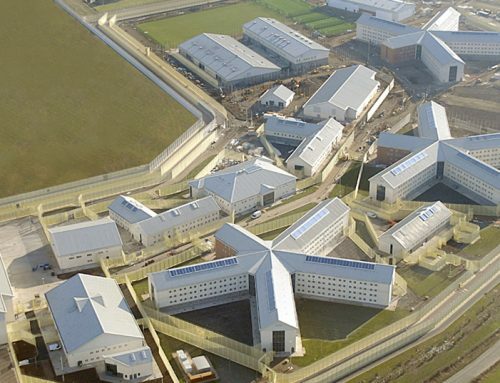 Three storey PCE HybriDfma engineered offsite structure to form the headquarters offices and the thirty two cell custodial suite, incorporating holding cells and other ancillary rooms. Using in house BIM design enabled accuracy of components, layouts and overall design to negate potential component “clashes” with following trades. PCE’s high quality management procedures provided a seamless finish for direct decoration – especially within the custody suite area. 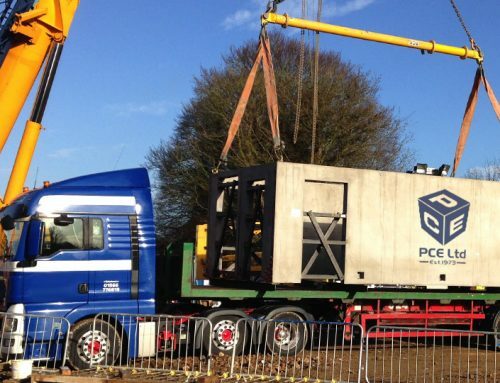 PCE’s innovative HybriDfma approach resulted in a ten week programme reduction and associated cost savings, when compared to the original design and build concept. PCE Ltd worked closely with Galliford Try to develop a PCE Hybrid design and build structural solution for the three storey offices and thirty two cell custody suite that forms the new headquarters for North Wales Police Eastern Command. precast hollowcore flooring spanning in excess of 11.0m. Fourteen PreFastCore precast concrete lift and stair boxes weighing up to 15 tonnes each were also used within the building. 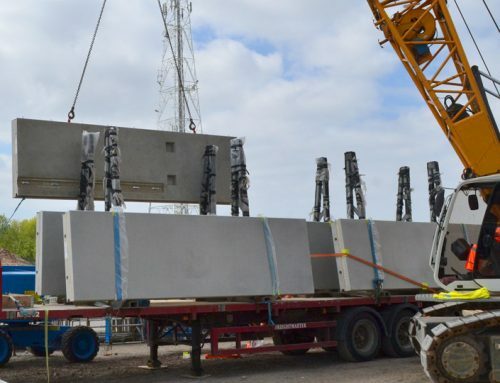 Over three hundred and forty non flooring precast concrete components help form the Hybrid structure together with approximately 5,000m² of hollowcore flooring together with structural steel/concrete composite Deltabeams, other structural steel sections and structural reinforced insitu concrete. The overall erection of the structural frame for the offices and cells took twelve weeks, with a maximum workforce of just twenty PCE employees. The relatively low number of people required for the onsite works, coupled with the fast build programme, helped to reduce the construction carbon footprint of the building that has also been designed to include many energy saving features. The headquarters is the North Wales Police Eastern Command and custody facility which was planned to have up to 248 staff and officers being based there at any one time. a cost-effective means of transferring lateral loads to the foundations. PreFastCore units are manufactured using a purpose designed complex fully adjustable moulds system to ensure maximum variation in core sizes that can be cast with emphasis on dimensional accuracy.